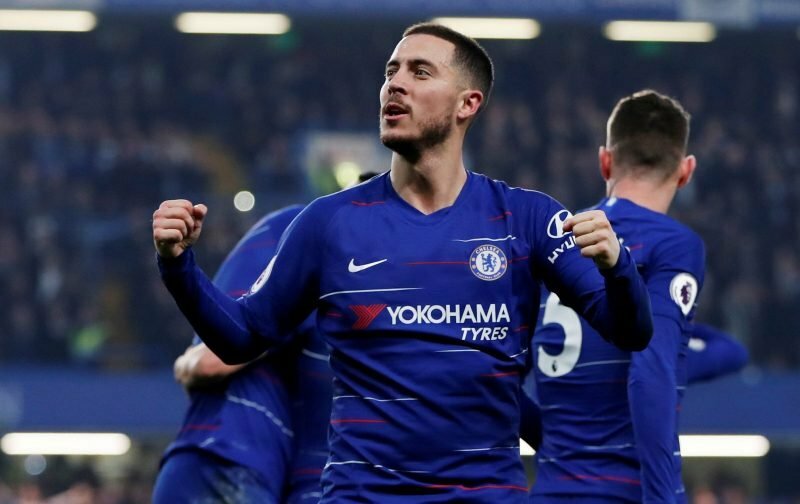 With the end of the season not too far away, Chelsea supporters are still none-the-wiser as to whether Eden Hazard will be remaining at Stamford Bridge or leaving this summer. It’s one of those situations that, although Eden has hinted, he’s made his mind up, we’re not 100 per cent sure which way this will end. le10sport, that infer Chelsea are in contract talks with their jewel-in-the-crown. However, here at Vital Chelsea, we’re of the belief that if Hazard has intentions of remaining at Chelsea Football Club, he’ll have a variety of questions he wants answering as well as the normal ones relating to contract length and salary. We’d imagine that Eden would be seeking reassurances on the long-term managerial situation. What are the clubs’ intentions in the transfer market this summer considering we could be set to enter a dark era of a two-window transfer ban? Is Roman Abramovich’s interest in the club on the wane? Just three we can immediately think of. Although Eden has, in the past, spoken about being happy at Chelsea and loving life in West London, the 28-year-old is under no illusions that this could be his last chance to orchestrate a dream move to Real Madrid. The Big Sunday Question – Will Kepa Be Restored To The Starting XI Today?